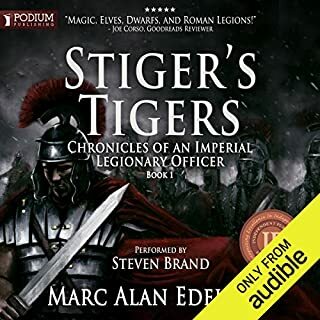 AD 255; the Roman Imperium is stretched to breaking point, its authority and might challenged throughout the territories and along every border. Yet the most lethal threat lurks far to the east in Persia, where the massing forces of the Sassanid Empire loom with fiery menace. Alone, Ballista is called to muster the forces and the courage to stand first and to stand hard against the greatest enemy ever to confront the Imperium. 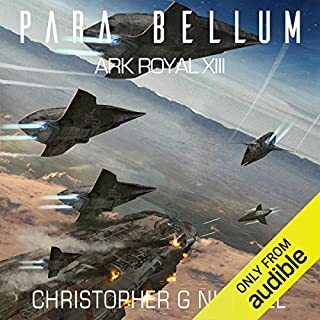 This is a really decent story and once it starts the action is excellently narrated with clearly discernible character voices. 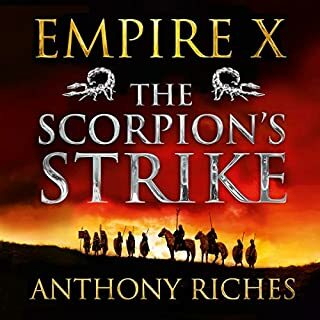 The problem, for me at least, is that the author seems so determined to demonstrate his knowledge of ancient tribes and geography that he mentions endless characters and places that barely have any relevance to the story. At times the book reads like an old, dry history text book. I found it well worth persevering with but there is some parts which I think could have been massively trimmed to keep the story moving at a less somnolent pace. 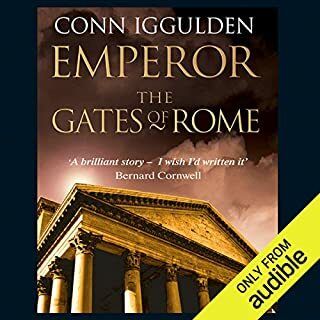 This was a fantastic book, perhaps the most historically accurate writer of 'Roman Fiction' this doesn't stop the author from also producing a cracking story with good characters. Narrator does a great job too. My only gripe is that books 2 and 3 in the series are not currently availiable although the 4th book is! Where's the sense in that?! The battle between East and West is age old fought out since ancient times by Greeks and Persians (though with a lot of ambiguity as to national identity and loyalty at times) and then by the Romans against the Sassanids, the new kids on a very old block. Sidebottom plunges into the action, the heroic but fallible Ballista is an outsider, a barbarian imperial hostage risen to senior military command and sent on what rapidly comes clear is a suicide mission with a rag tag army defending a frontier town against the might of the Sassanids (and they were mighty, frequently contesting much of Asia Minor and the wider Middle East with the Romans and its successor state of Byzantium and often winning). 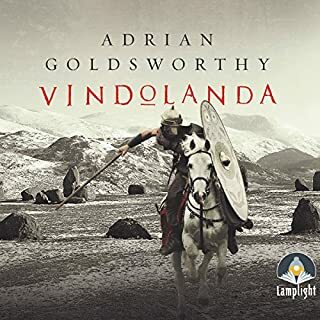 The action evokes the Alamo, the siege of Minas Tirith in the Lord of the Rings with a sheen of I Claudius or Count Belisarius, the characters are good and believable. Sidebottom is an academic with a Buchanesque touch; this comes totally recommended and the narration is brillant. Solid and authentic. 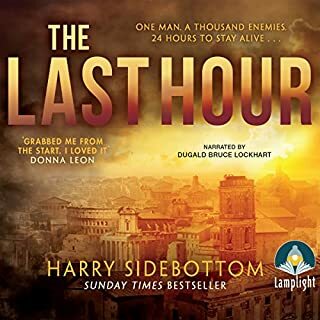 Excellent plot and characterisation fantastically augmented by Nick Boulton's smooth and inventive narration. He has to be one of the best voices on Audible. The author clearly knows what he is writing about. It's well written and the occasional explanations for the uninitiated are done with a light touch. 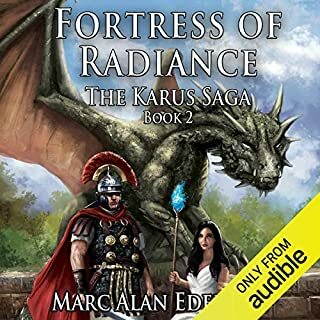 The characters are vividly drawn, not just the warrior Ballista but also what you might call his war household, his bodyguard and secretary (both slaves) in particular. 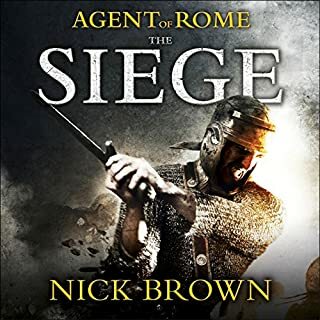 The problem for me was that it took a long time to get going and only really kicks off with the siege, which would have been quite thrilling if I hadn't had to wait quite so long to get there. It's a shame because it is an interesting story. 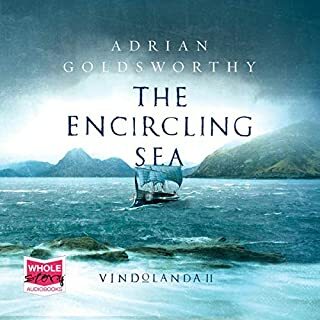 The reading is excellent, characters clearly delineated by use of accent and tone, perfect phrasing and just the right voice to suit the moment. 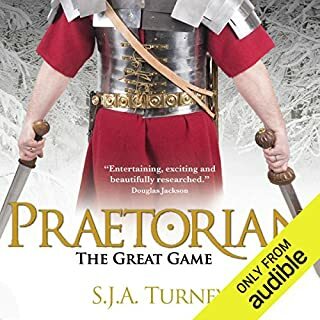 I can see what the characters look like just by their voice, including some who are not lead characters such as the supercilious patrician Roman soldier and the Christian priest. He also manages to re-create the noise of battle just with the voice which can't be easy. So top marks for the reading which brought the book to life as far as that was possible. Fantastic!!!!!!! !stick with it the second part is worth the wait. Can't wait for part 2 King of Kings. I have read the entire series, they are brilliant reads. 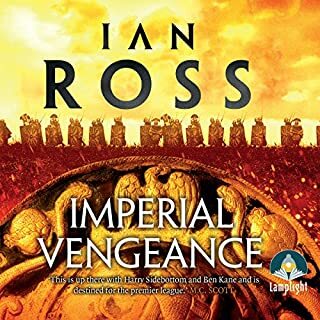 this audio rendition was no disappointment, well read it brought life to the characters and story. not sure why the other titles aren't available. Good yarn, nice historical context. Good story written by someone with detailed understanding of the historical context. Occasionally let down by rather pruriant depiction of female characters. This book apparently contains a helpful appendix supplementing the characters, history, with maps. 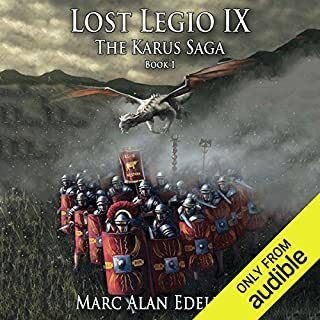 This is not the only audio book that would be enhanced significantly if Audible would make such supplementary info available with a pdf. In the past, I've usually been able to find some of this stuff at authors web pages, but not this time. So rather than review the incomplete book (which I really haven't finished), let me just warn others that it is challenging to keep all of the characters and locales herein straight without a program. 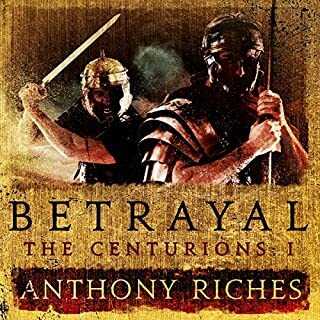 I nevertheless found the main character engaging, and the plot lines including a cadre of spies and the prospect of religious war on the part of the Persians in the 3rd century interesting. I love the classical period and go out of my way to find books on the period. However, it does not happen very offen where you get fast paced action along with historical accuracy. This book does a good job at both - probably because Dr. Sidebottom (I love the name) is a classical professor who makes sure that his level of historical accuracy and faithfulness to what we know of the realities during the period are true. 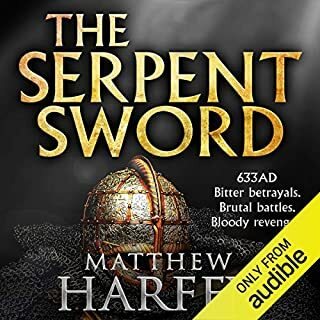 It's brutality, gritty language, the various peoples and religions coming into conflict during a period of turmoil in the latter Roman Empire, all add up to make one hell of a ride! The author all so develops his characters with interesting personalities, there not cardboard cutouts, you care what happens to them. 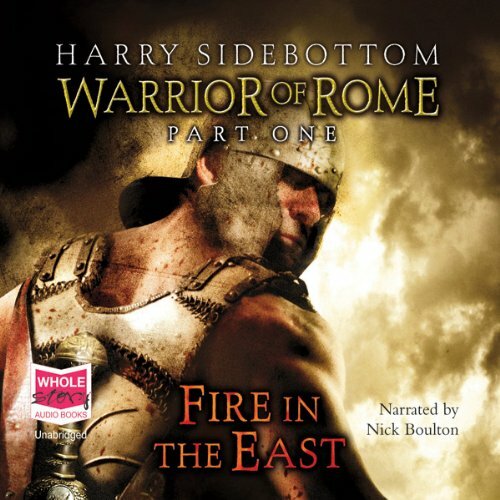 Nick Boulton's narration is excellent, especially the Latin (Roman) and Sassanian (Persian)names and terms. He also keeps the tension at just the right level, its hard to lose interest. This is a great read or listen. 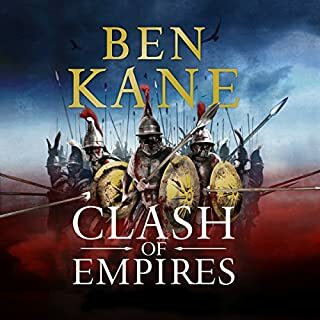 If you like ancient warfare with plenty of action, download this. You will not be dissapointed. Historic knowledge and suspense - tragic hero - very well written and read! Some of the best in the genre I've ever come across. This is a very exciting work. I highly recommend it. 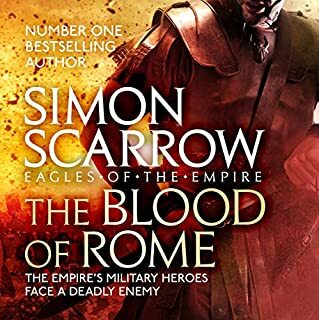 The book concerns the defense of the eastern border of the Roman Empire against attack by its neighbor, the Sassanid Empire, focusing on one particular city. The narration adds to the enjoyment. The main character, Ballista, is well drawn. And, I was left wishing I knew more about some of the minor characters, in particular, Ballista's Greek secretary. But the real excitement for me was in the battle scenes and preparations. I was so drawn into the story that I began conceiving my own ideas for defense to the extent of wishing I could suggest improvements in weapon design. There is another work in the series, Warrior of Rome, King of Kings. I certainly hope that Audible makes it available. 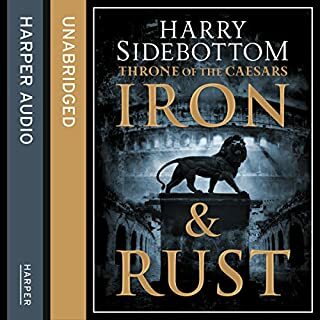 Author Harry Sidebottom is new to me, but I'd sure like to get into something else he's written. Good story, good history, and great book. Can we get more from him? One of the Best books out!!!!! The story is very good, keeps you on the edge of your seat !!!!! Excellent listen. Nick Boulton's character accents and dramatic reading are topnotch. I felt like I was listening to an ancient recording. I love historical fiction and although this book was no Pressfield novel it was still an outstanding first novel for Sidebottom. I am looking forward to King of Kings. You can't go wrong with a main character that is a German-Roman General and believes in the Norse Gods. Awesome! Where's my gladius, or better yet, my war axe?! 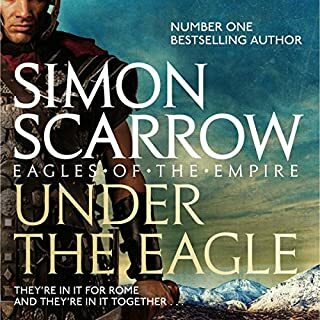 What did you love best about Fire in the East - Warrior of Rome? I found myself thrown into a world that the author did little to prepare the reader for. Almost nothing of who the main character Ballista was or why he is considered a barbarian. It's clear that the author knows a lot about Roman civilization however they seem to come up as asides instead of as part of the story. For example, at one part of the story Ballista invites his guests up to his Palace to partake in some figs and nuts. However in natural conversation it would be more normal if he had simply asked his guests to come up to his Palace to have some food. That said after a while I did become somewhat engrossed in book though and more involved in the characters storyline and it was enjoyable.